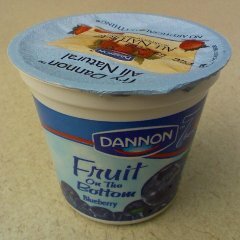 This morning, I got some yogurt from the cafeteria at work. All of the containers were in an ice bucket, so all I could see were the top foil wrappers. Clearly, all of them were strawberry flavor. However, after opening the container, I was surprised to find that it was, in fact, blueberry flavor! 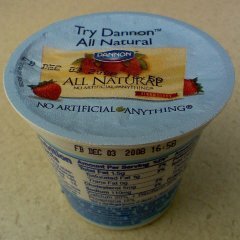 I’m sure some accountant at the Dannon factory suggested that they save a penny by using the same lid for all flavors.